What is your favorite dance memory? There have been so many over the years and we have met so many wonderful people. 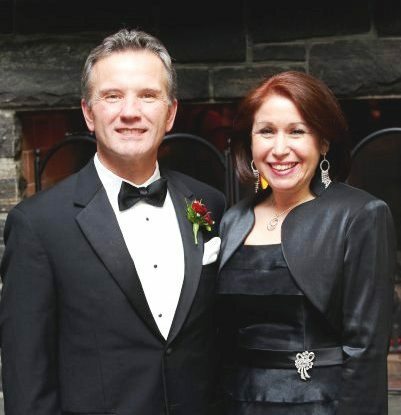 Dancing in the New Year at Chateau Frontenac in Quebec with our dance friends is definitely high on the list. 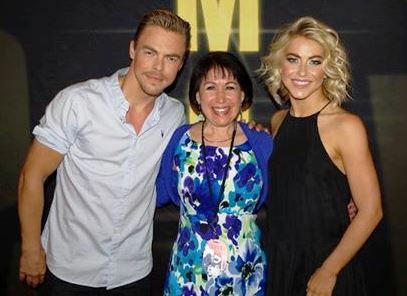 Meeting /photo-op with Derek & Julianne Hough before their show is on top of the list as well. What dance goal would you like to conquer next? We have learned enough steps to dance to almost anything that is played. Next we would like to take one dance at a time and do some fine tuning. What are your other hobbies? Spending time with the grandkids (3 so far), books on CD, brain-teaser puzzles, Cape Cod, walking and traveling. Tell us something you think most people don’t know about you. Childhood nicknames: Eli & Leenie.